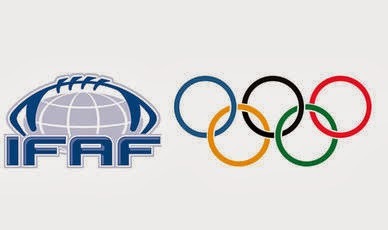 The Executive Board of the International Olympic Committee (IOC) announced on the 10th of December 2013 to grant the International Federation of American Football (IFAF) provisional IOC recognition during their meeting in Lausanne, Switzerland. IFAF is American Football's international governing body with 64 member nations spanning six continents. "IFAF is proud to receive this recognition and join the Olympic family," IFAF President Tommy Wiking said. "The enduring ideals of sport that comprise the Olympic Charter reside in our game's timeless values and in the spirit of the millions who love to play it. "We thank the IOC Executive Board and administration for its support throughout this process as well as our dedicated National and Continental committees," Wiking added. "It is especially gratifying to share this recognition with American Football athletes of all ages across the world, past and present. They have made and continue to make this an exceptional sport that captures our imaginations and unites us through competition in mind, body and heart." "On behalf of the IOC, we are delighted to welcome the IFAF into the Olympic Family. The federation has long demonstrated strong youth appeal and are making great progress in developing their sport around the world. We trust that this provisional recognition will generate momentum in the further universal development of their disciplines." says Christophe Dubi, IOC Sports Director. As American Football's international governing body, IFAF looks after its three disciplines: tackle, flag and beach football.